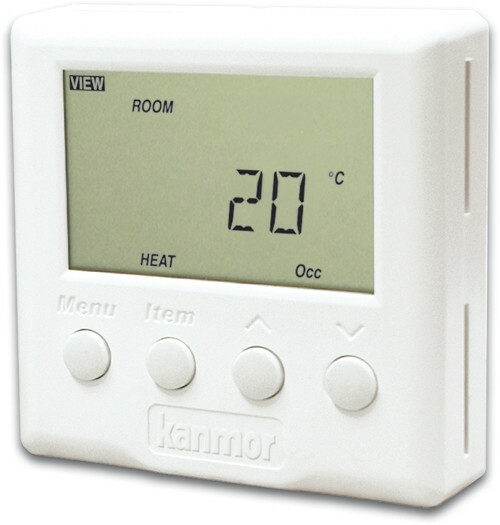 The Kanmor 506E Digital Thermostat. is a 24Vac electronic display thermostat. Auxiliary sensor input is available for air or slab control. Features night setback when used with remote time switch. Danfoss FH-WC 088H0131 24v Wiring Centre.